For the Heure H collection, Hermès playfully celebrates the initial and turns the shape into a timepiece. The gold-plated steel case of the Swiss made quartz watch features a white dial with sunray pattern and Arabic hour markers. 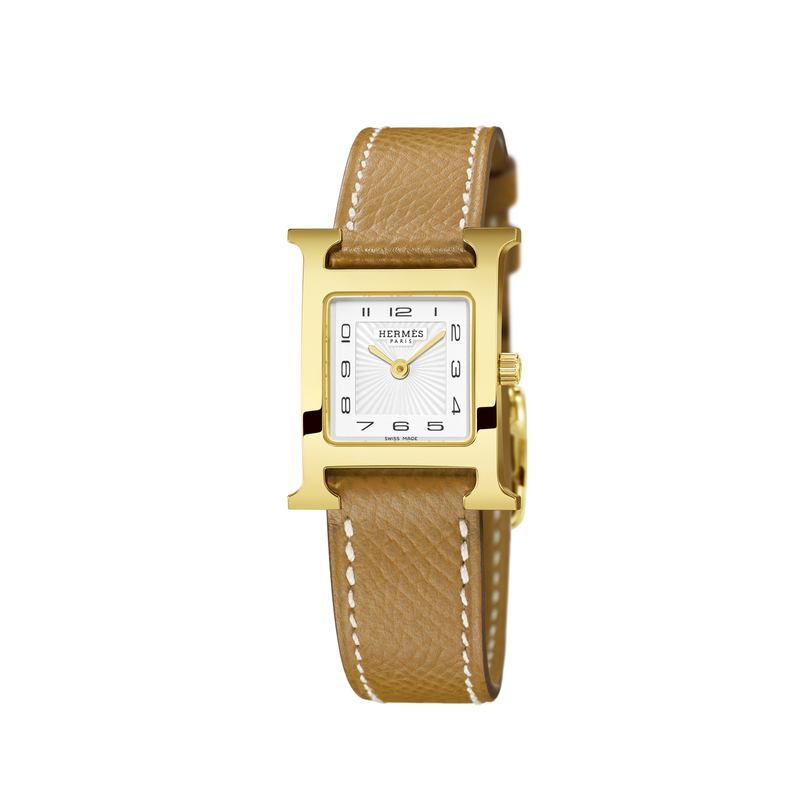 A gold grained calfskin leather strap with a gold-plated steel tongue buckle adds the finishing touch.